Researchers conclude there isn't enough carbon dioxide to turn the red planet into a green one. Before humans can colonize Mars, we’ll need to figure out a way to make it a bit more hospitable. But a surprising new study suggests that “terraforming” Mars into an Earthlike planet — an idea at the heart of many science fiction novels and films — simply isn’t possible with today's technology. The study, published July 30 in the journal Nature Astronomy, seems to throw cold water on those fictional terraforming schemes — along with some real-world ideas that sound like make-believe: In 2015, SpaceX CEO Elon Musk said we could warm Mars and give it a thicker atmosphere capable of supporting agriculture by detonating nuclear warheads over the planet’s icy poles. There’s no doubt that Mars' thin atmosphere and its soil and icy polar regions contain carbon dioxide. But the new research indicates that there’s not enough of it for us to be able to trigger a sort of runaway greenhouse effect that would turn the red planet into a green one. Jakosky and his collaborator, Christopher Edwards, an assistant professor of planetary science at Northern Arizona University in Flagstaff, came up with an estimate for the total amount of carbon dioxide on Mars by looking at data collected by space probes over the past two decades. They concluded that the polar ice caps contain the most accessible stores of carbon dioxide, but that melting the caps — for example, by somehow covering them with sunlight-absorbing dust — wouldn't produce enough gaseous carbon dioxide to terraform the planet. And tapping the carbon dioxide in Martian soil would likely require heating and strip-mining the entire planet — things the researchers concluded aren't feasible. But some experts are not so willing to throw in the towel. Robert Zubrin, an aerospace engineer and founder of the Mars Society, disagrees with the study’s conclusions. He said the researchers “grossly underestimated” the amount of carbon dioxide on the planet. In a 1993 paper, Zubrin calculated that there is enough carbon dioxide in Martian soil that, if it were released, could create an atmosphere comparable to the air atop Mount Everest. 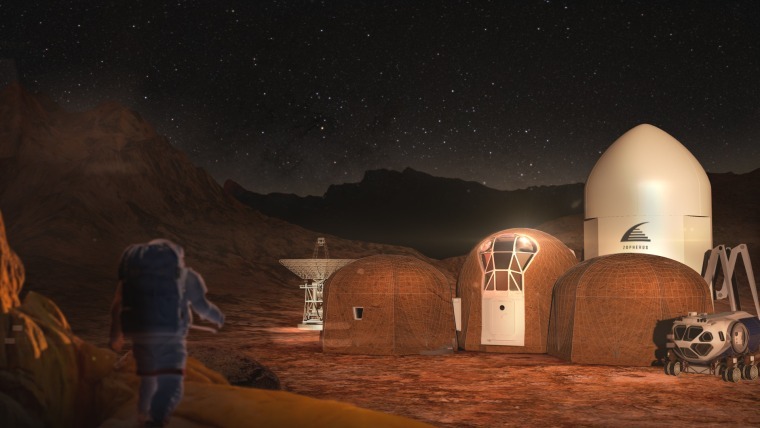 Want more stories about colonizing Mars?